Wondering how to hitch your Horses up Safely? 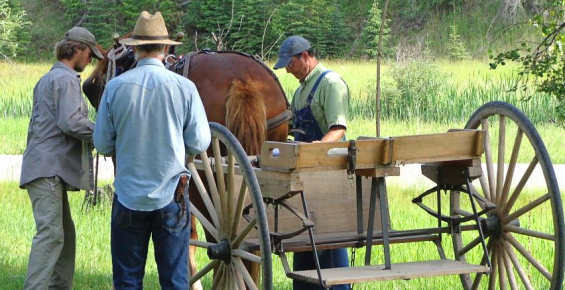 Below are links to “Hitching Safely”, an article featuring Doc Hammill originally published in the December 2012/January 2013 issue of Rural Heritage magazine. Author Jenifer Morrissey carefully documents Doc’s detailed steps for hitching your horse or horses safely. View the “Hitching Safely” article online….